I'll never be a poet but I can spot a good place for a pint well enough. We just had the Beoir AGM in Limerick where we were met with a very warm welcome. 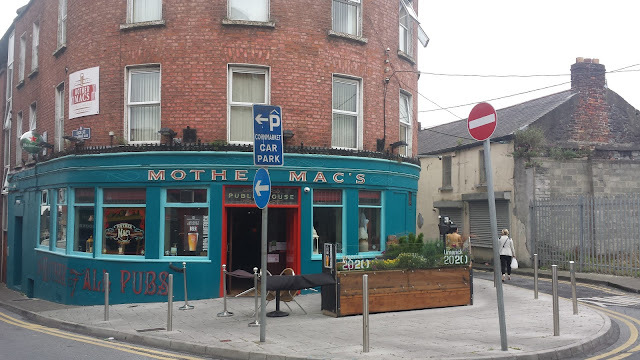 Mother Mac's is doing a stellar job and might be one of my favourite pubs in the country now. 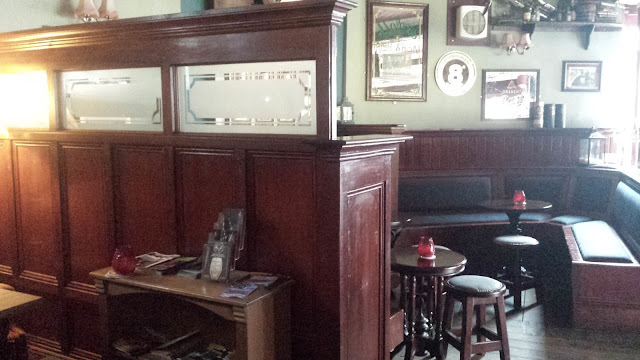 It's a corner pub with a small, outdoor area at the front and a cosy, traditional looking pub inside. They do serve regular macro beer but they have a pretty good range of independent Irish beer on tap and a great bottle range. 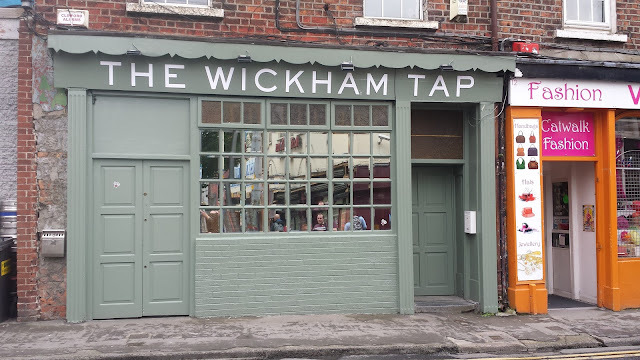 I sampled it at about 11:30 on Saturday morning at Mother Macs, before we headed to The Wickham Tap to hold the Beoir AGM and it was just the perfect first pint of the day. It's about 4% or so, I don't recall exactly so let's say 4.3% which is about average. It's very clean with a crisp bitterness and bang of fresh citrus hops. it set me up for the day. We moved on to The Wickham Tap which is the latest bar from the Galway Bay Brewery Chain and the first one outside of Galway or Dublin. There's a really cool vibe about this place. 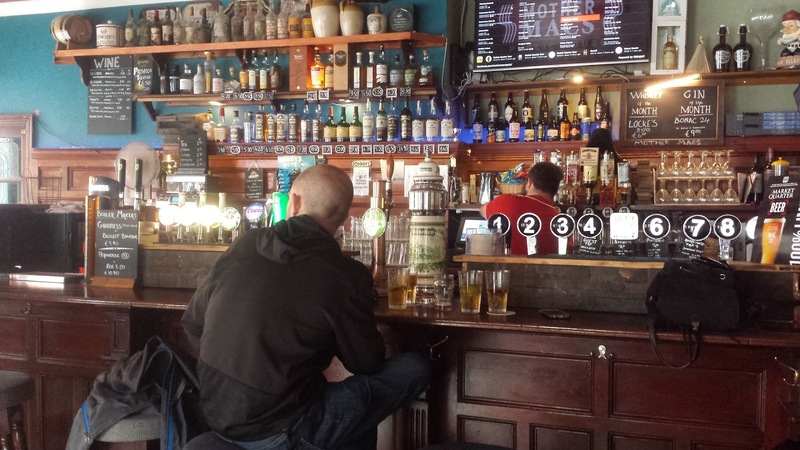 It's closer to the Salthouse in Galway (GBB) or Bierhaus in Cork. It's less eclectic than say Against The Grain or Brew Dock. I really liked it. The bar is compact, just the one room on the ground floor. There's a little beer garden / smoking area out the back though personally, it's too compact for me and I wouldn't want to be anywhere near the smoke so I would just prefer to stay inside. We had our AGM and the bar took great care of us for a few hours until it was time to head to Treaty City for our brewery tour. Treaty City Brewery is based on the outskirts of Limerick city in an industrial park. However, it's about a 2km walk from the Market Quarter and essentially on a straight road so you can walk there in about 20 minutes from either Mother Macs or The Wickham Tap. Or just take a short taxi ride out. I think you can even jump on a bus according to Google maps but since Google maps says that should take about 13 minutes, you might as well just take the extra 10 minutes and walk there if visiting. 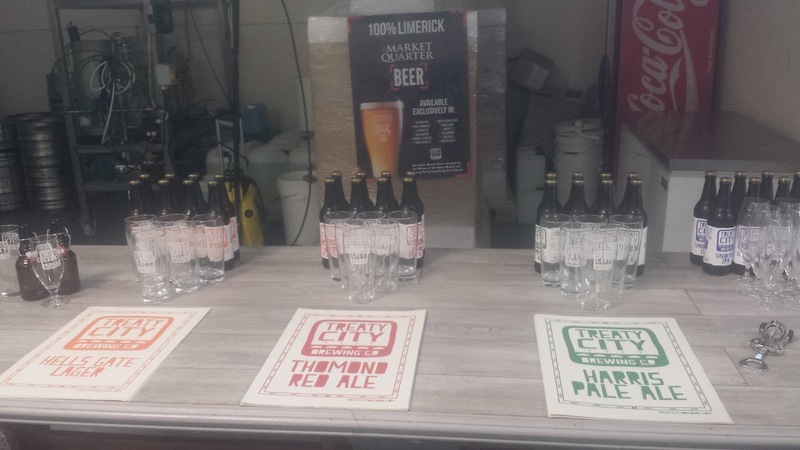 We were treated to bottles of their beer to sample while taking a look at the brewery and hearing the story. 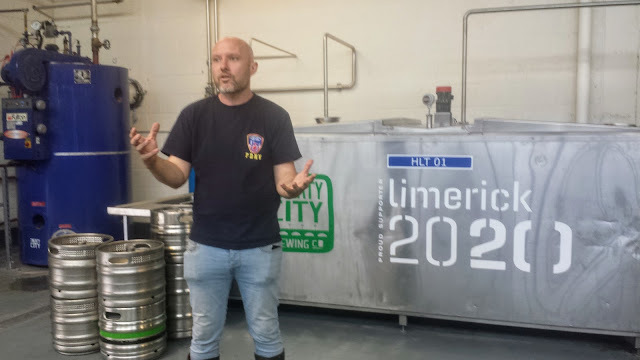 Stephen Cunneen gave us an informative and entertaining talk about setting up the brewery and how they had been involved in the Limerick 2020 campaign which unfortunately failed. This tweet from The Beer Nut pretty much sums it up! They custom built the brewery to their own specification which means they understand exactly how it works and how to get the best beer they can from it. And it shows, the beer is good. 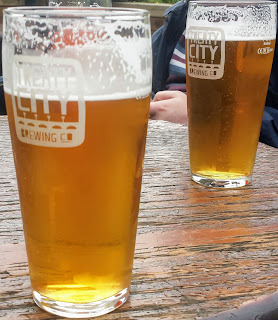 After the brewery tour, we headed back to the city centre and embarked on a pub crawl before somehow making it back to the train station for the last train back to Dublin, well those of us who were getting the train back to Dublin that is. I'll admit, the pub crawl started to blur together somewhat but then, that's what Twitter's for, so you can look back and remember (or not) how much fun you had. I look forward to getting the chance to head back and explore more of Limerick in the future as it's probably the most underrated city in Ireland except by those who take the time to get to know it. Glad ye all enjoyed the beers and the day out. Limerick is indeed a great city to visit and hugely underrated by those who've never been.